The delay in possession of the flat is a very common problem faced by the buyers these days; this has given the rise to untimely or delayed delivery of the property which puts the unnecessary financial burden on the buyers. In last decade or so it has also been observed that buyers are very much afraid to invest their funds as they are sceptical about the timely possession. In order to understand this predicament, we are here just to shed some light on the issue. Possession of the property means physical control over a Property. Taking over the possession does not mean the ownership of the Property. 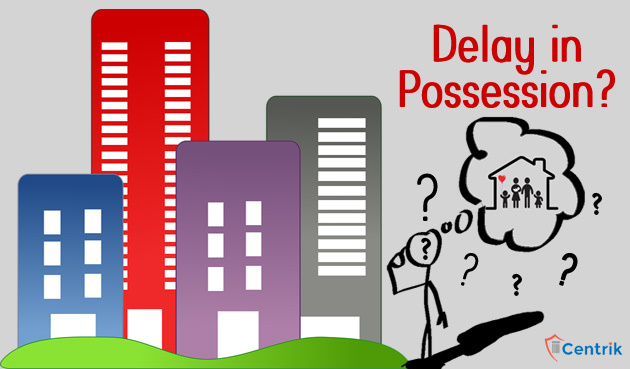 b) What is the delay in possession of the Flat? Every project has some delivery date which is either mentioned in Builder-Buyer Agreement or in the prospectus of the project. If the Builder delivers the possession of the flat beyond the date as promised or agreed, then it is called a delay in possession of the Flat. If there is any delay in delivery of the possession, the buyer has all the right to ask for the refund. If a buyer intends to withdraw from the project, then the builder is obligated to pay back the whole amount of money he has received in respect of the property along with the interest. If a buyer doesn’t wish to withdraw then he shall be paid, by the builder, interest for every month of delay, until the time of possession of the property. It is advisable for every buyer who is having an intent to buy a property to make an analytical report on all the project of the builder which has already been completed or delivered by him. 1) Starting Date of the Project. 2) Completion date of the project. At the last stage of the report the technical analysis on the percentage basis should be calculated i.e. how many projects he has delivered on time? For Example: Out of 100 projects if he has completed or delivered 95 projects on time then the ration of deliverance and completion is 95%. Conclusion: This is the problem which makes it difficult for the buyers to plan for the future, therefore one should know the remedies and the precautions too that they can fight for their cause.